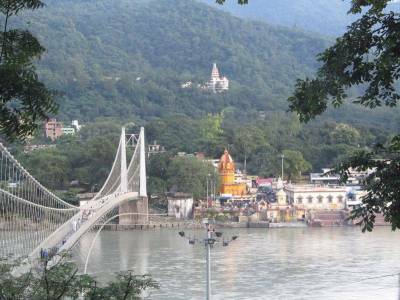 Like its sibling Lakshman Jhula, the Ram Jhula is a relatively new addition to Rishikesh. 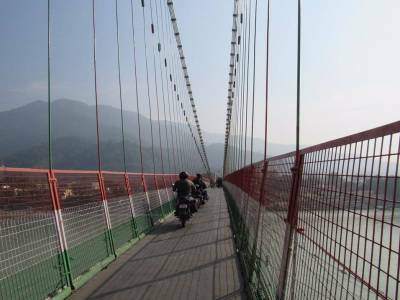 Ram Jhula was built in 1986 and is an iron suspension bridge over the river of Ganges (Sacred River of Hindus) and situated at Muni Ki Reti in Rishikesh of Uttarakhand. The bridge is similar in design and using same technology but bigger than the more popular Lakshman Jhula. Travellers can get amazing view of Ganges from the Ram Jhula and click amazing pictures of boats floating on it. 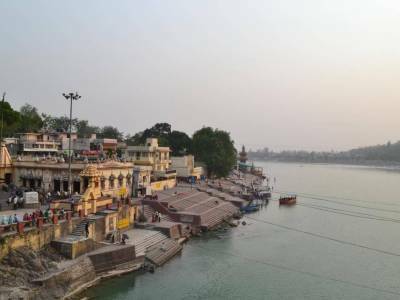 There are many Hindu ashrams and religious centers like "Gita Bhawan" and "Swargashram" located close to Ram Jhula along with popular restaurants of Chotiwala. 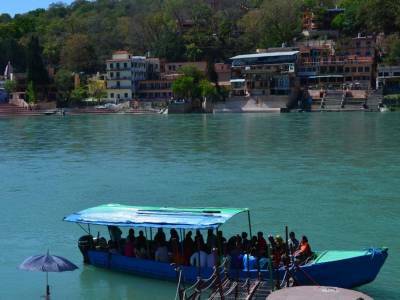 Travellers can also enjoy boat ride from here for crossing the river Ganges. Overall the Ram Jhula is a nice experience for any kind of travellers, and can also be used as a good photographic location. 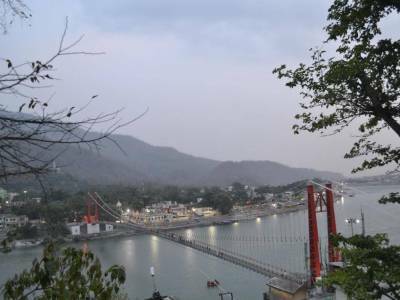 Ram Jhula about 32 kms from Haridwar City Center and about 15 kms from Rishikesh City Center. Get quick answers from travelers who visit to Ram Jhula Rishikesh .